With the per capita GDP of less that $300 in 2005, one can expect a very high rate of poverty and deprivation in Nepal. 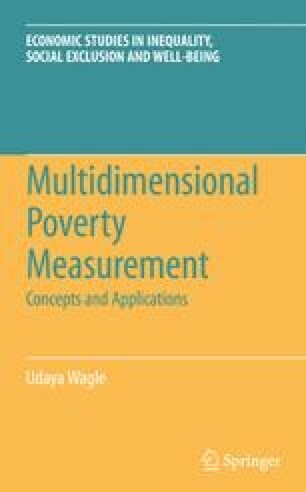 Its recent progress in reducing poverty was phenomenal, however, with the poverty headcount ratio declining over eight percent to 31 percent following the official poverty line and to 24 percent following the $1/day international poverty line in the last decade alone (CBS 2005; Wagle 2007a; World Bank 2006). Thanks to the process of globalization that enabled Nepalis to seek employment abroad and remit record sums of money to their families back-home, playing instrumental roles in reducing poverty. At the same time, this progress coincided with increasing economic inequality making Nepal the most economically unequal country in South Asia (Wagle 2007a, 2007b).